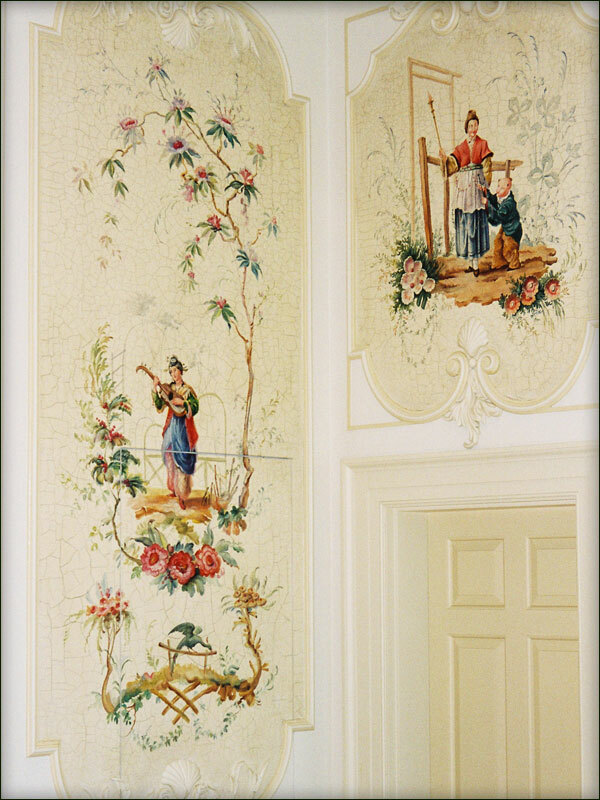 For this project the client provided an antique Chinese screen as part reference material. 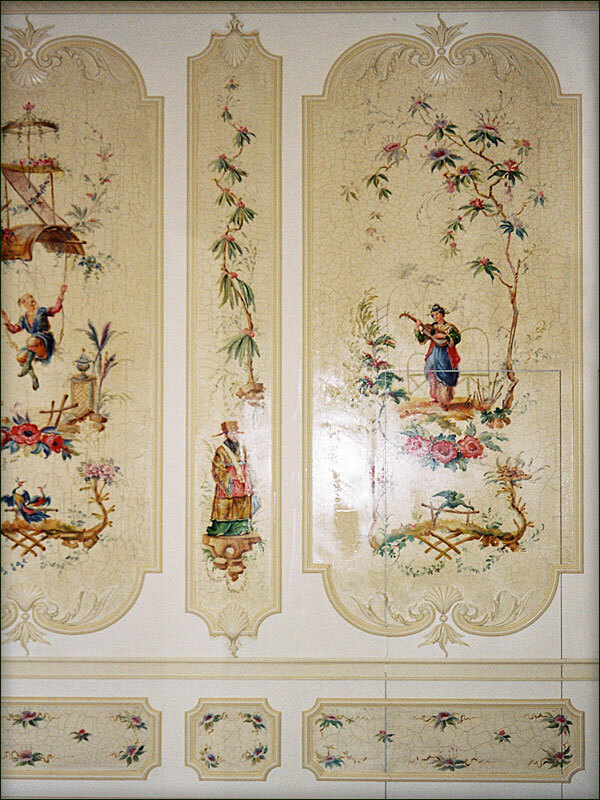 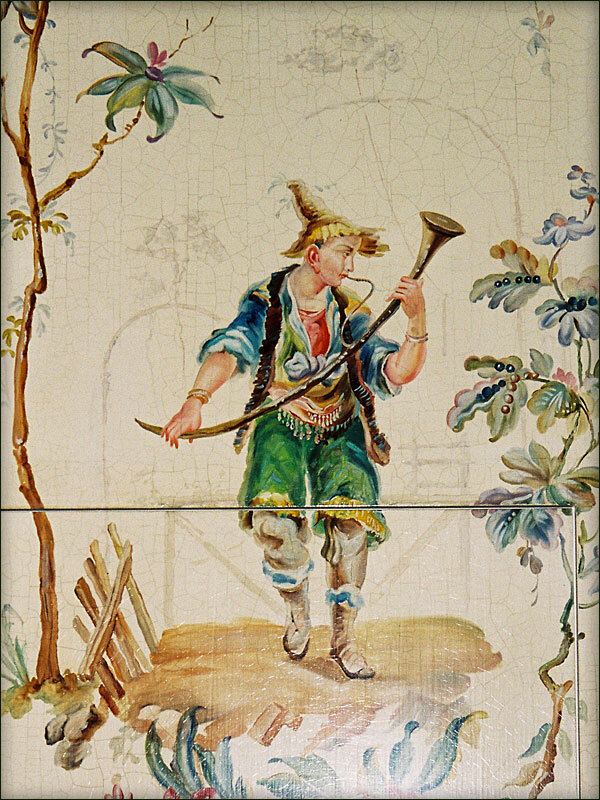 Polychromatic Chinese figures and ornamentation were used as a background for this very large panelled room. 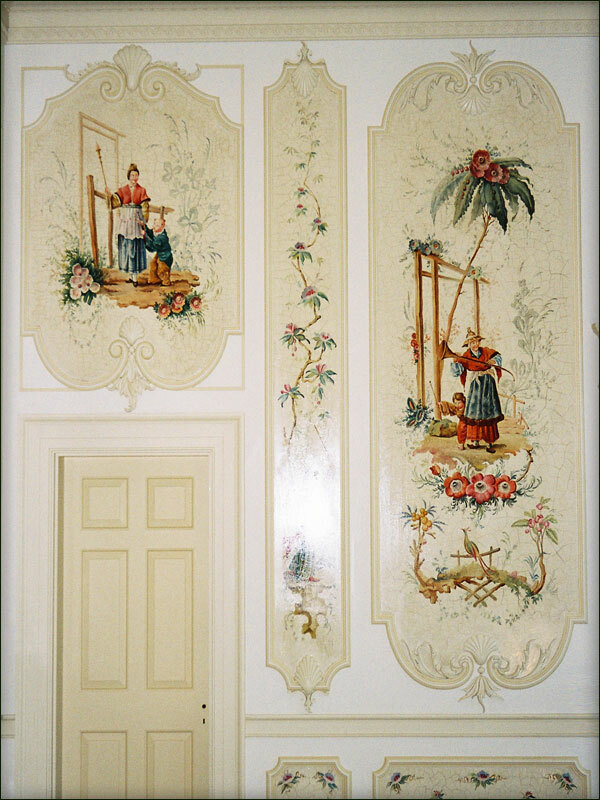 The plaster panel mouldings were cast in a 19th Century French style with ornate scrollwork which made it inconvenient to fit canvas around. 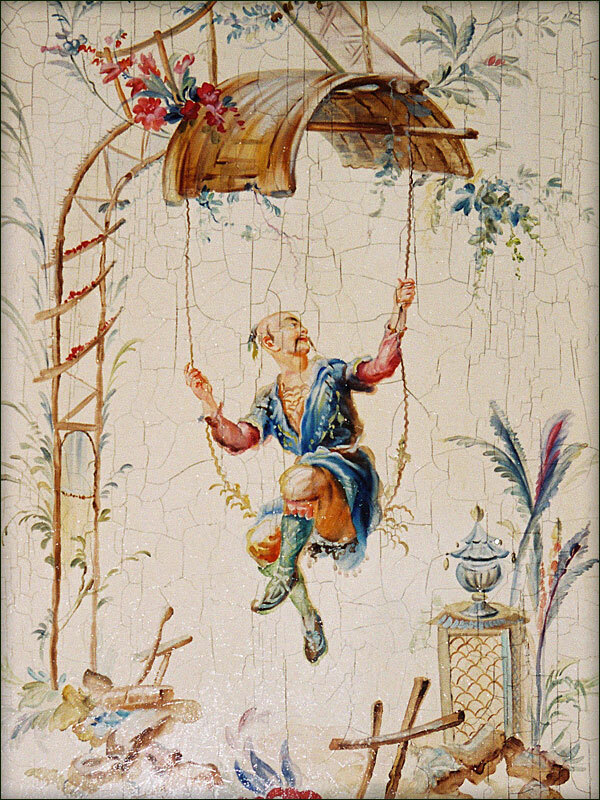 The whole project was therefore painted in situ from a scaffold. 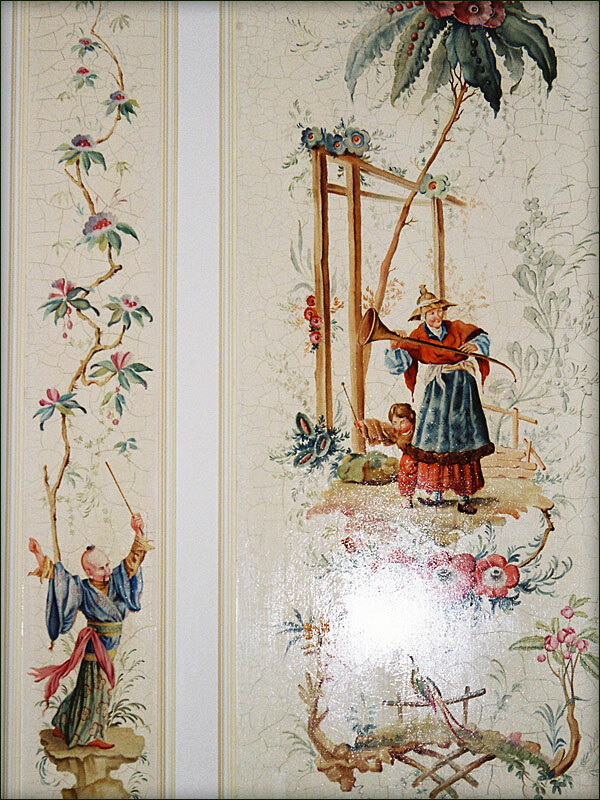 In keeping with the Chinese screen the panelled areas were finished in a crackle varnish.